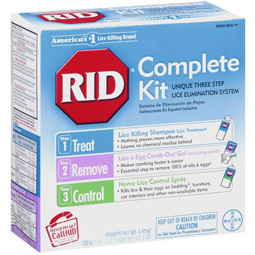 RID has more poison than a can of RAID! And head lice have become immune to that poison over the years. What’s worse is we’ve had many reports of children suffering with poisoning symptoms due to their parents’ overuse of RID and other poison-based products.